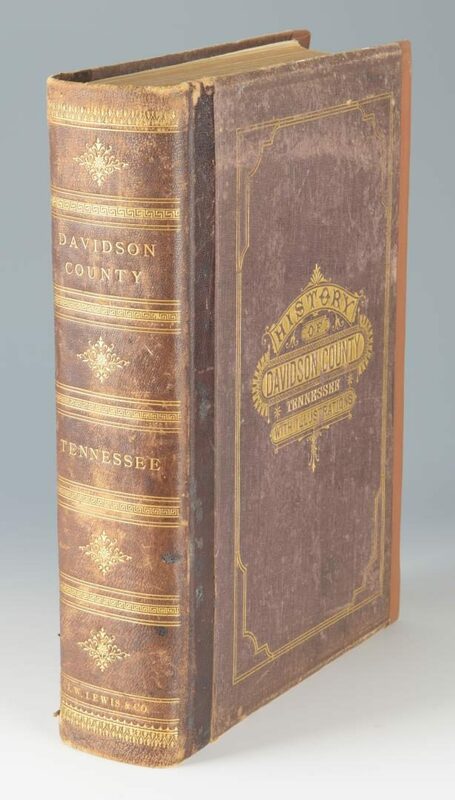 Clayton, W. W. History Davidson County, Tennessee, With Illustrations and Biographical Sketches of its Prominent Men and Pioneers. 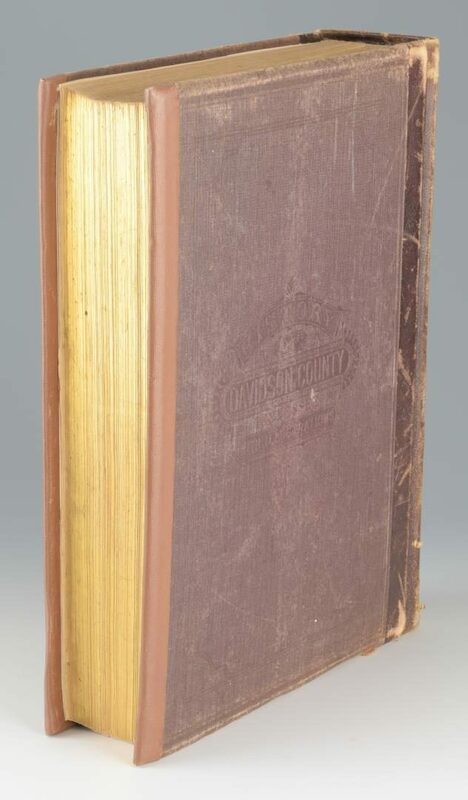 Philadelphia: J. W. Lewis & Co. 1880. First edition. 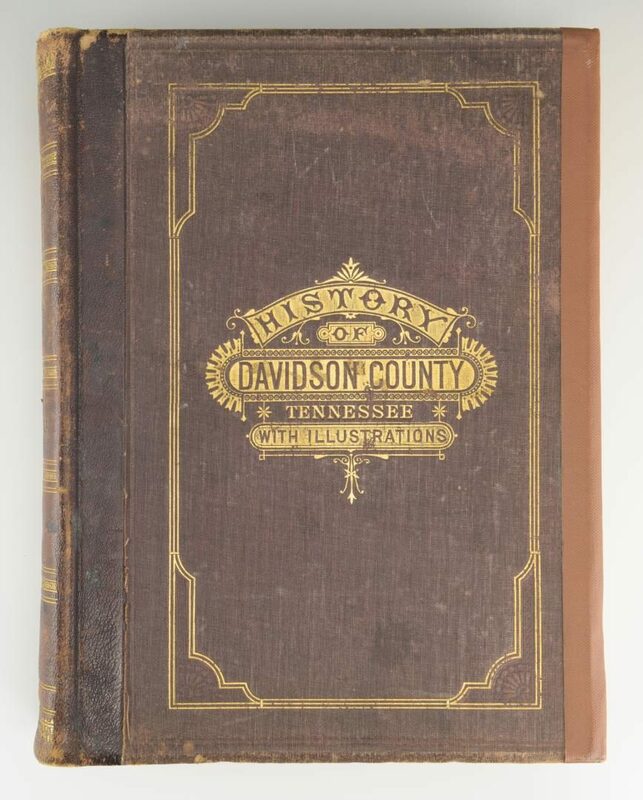 499 pages. 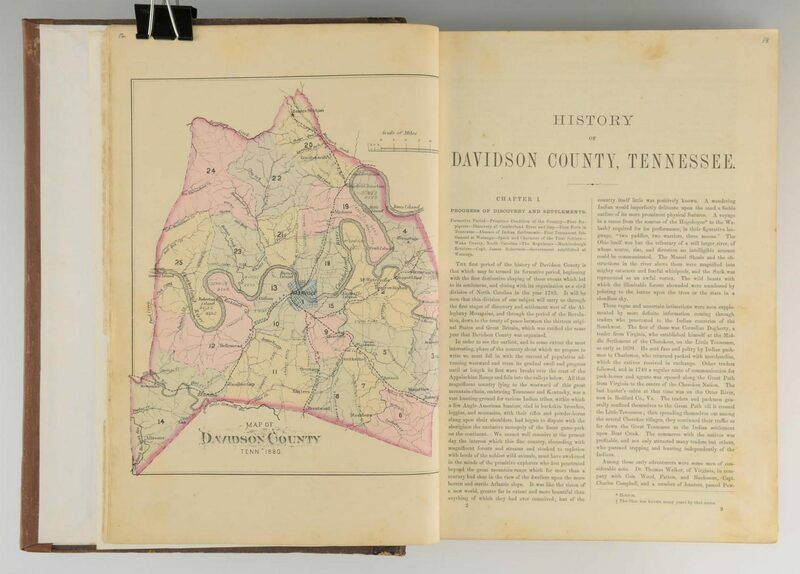 Profusely inllustrated with maps, steel engravings, and views. 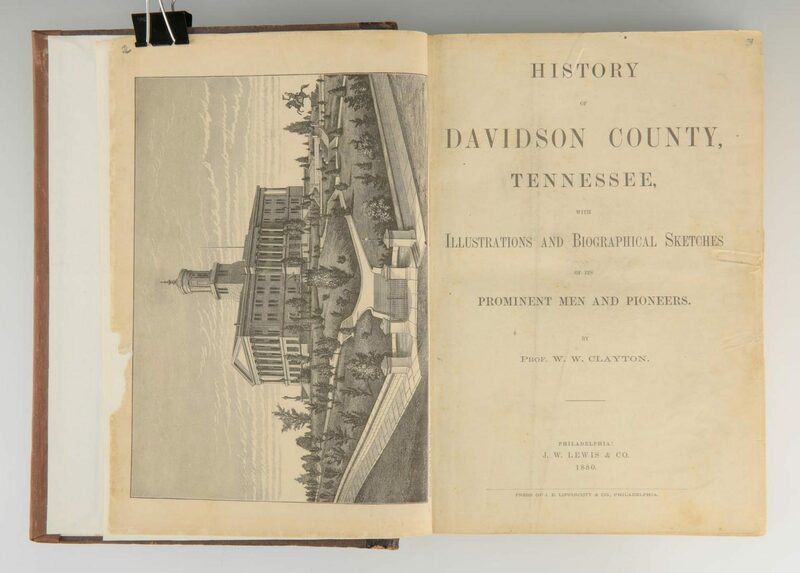 12" H x 9 1/4" W x 2 5/8" D. Collection of Charles and Ann Wells, Nashville, Tennessee. 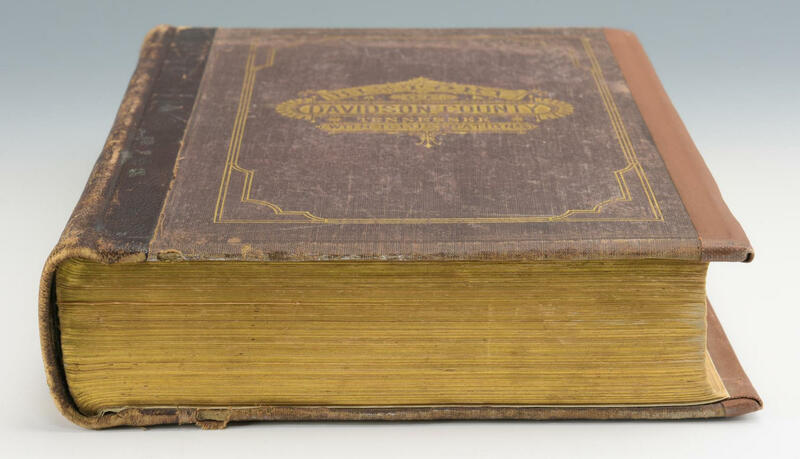 CONDITION: Book in good condition but title page is some soiled, boards have been strengthened with brown binder's tape and new endpapers. Curiously, a previous owner provided their own page numbers throughout.